That’s right folks. One of the original RPGs is getting another shot, with Chaosium riding the wave of momentum it’s been enjoying since 7th Edition Call of Cthulhu. And I have to say, I’m curious to see what they do. According to Chaosium, they want to use the same framework as their 2nd edition rules–which were a leap apart from the other RPG rules at the time, shedding their war-game heritage… but I wonder how they’ll update them. It sounds like they’re getting a lot of the band back together, so I guess we’ll have to wait and see. 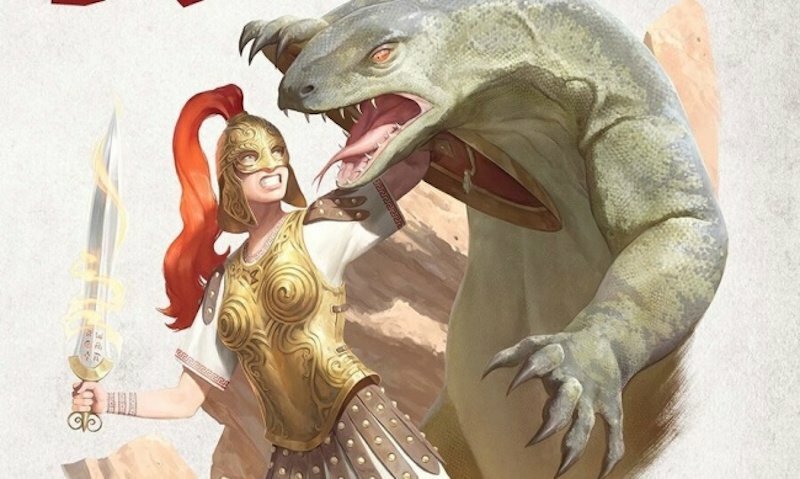 …Chaosium prepares to launch RuneQuest: Roleplaying in Glorantha later this year. 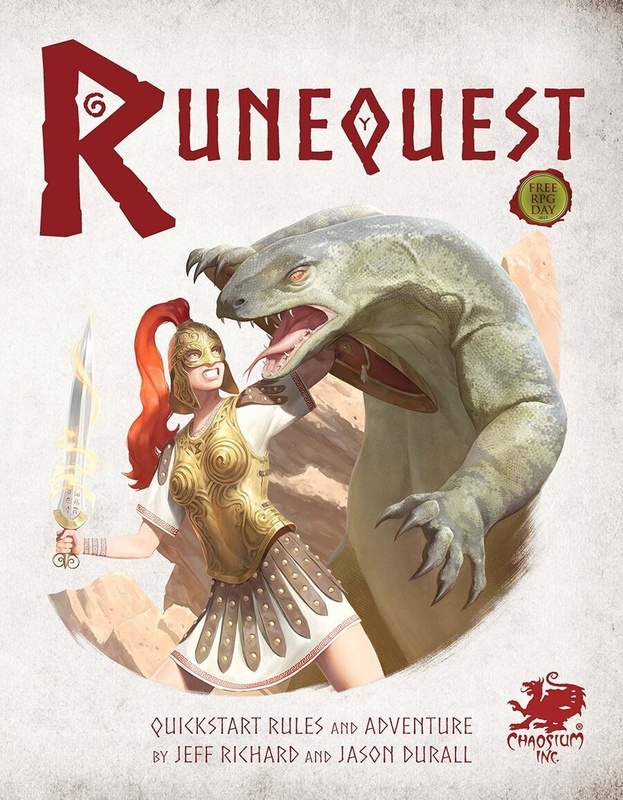 The first title in the new line, the RuneQuest Quickstart will release on July 1, with the main books scheduled for December. The three main books for the new game—the core rules, a bestiary of the world of Glorantha, and a book of scenarios—are all expected to release around Christmas this year, but an abbreviated version of the game called RuneQuest Quickstart will be available starting July 1. Chaosium plans to support the new line with six new releases each year, spaced about two months apart. RuneQuest: Roleplaying in Glorantha is built upon the same framework as RuneQuest 2nd Edition, which was originally published in 1980. As such, it will be fully compatible with the RuneQuest Classic line as well as the updated reprints of 2nd Edition materials recently published by Chaosium (see “Classic Fantasy RPG ‘RuneQuest’ Returns”). The company is pulling in a lot of star power for the new edition, touting material written by industry veterans Steve Perrin (RuneQuest), Ken Rolston (The Elder Scrolls III: Marrowwind), Chris Klug (DragonQuest), and Greg Stafford (RuneQuest). My first exposure to the world of RuneQuest was in the game King of Dragon Pass–a hero’s journey-esque exploration of the world that cast you as the ruler of a people in the valley of Dargon’s Pass. It’s a neat game…worth a try if you can track it down and want to see what all the hubub’s about.